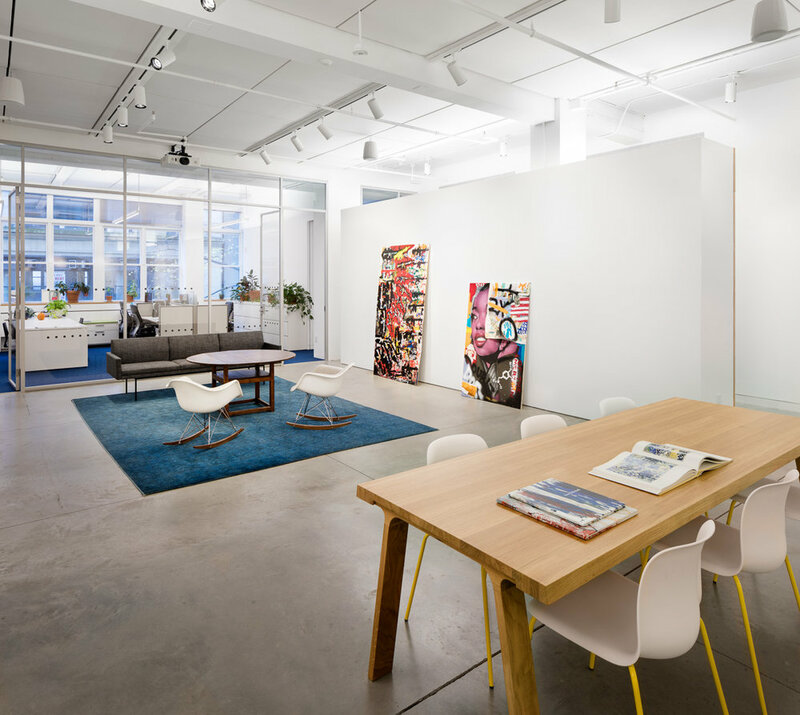 The Joan Mitchell Foundation, an artist-endowed non-profit organization, engaged VCA to consolidate their two disparate offices into this single location in New York’s Chelsea neighborhood. Inspired by the color, texture, and light in Mitchell’s work, we created a space that captures her spirit and vision. We used a combination of natural and artificial light, as well as transparent and translucent glass walls, to bring light deep into the space. We created a palette that brings together natural materials with a variety of textures and colors. 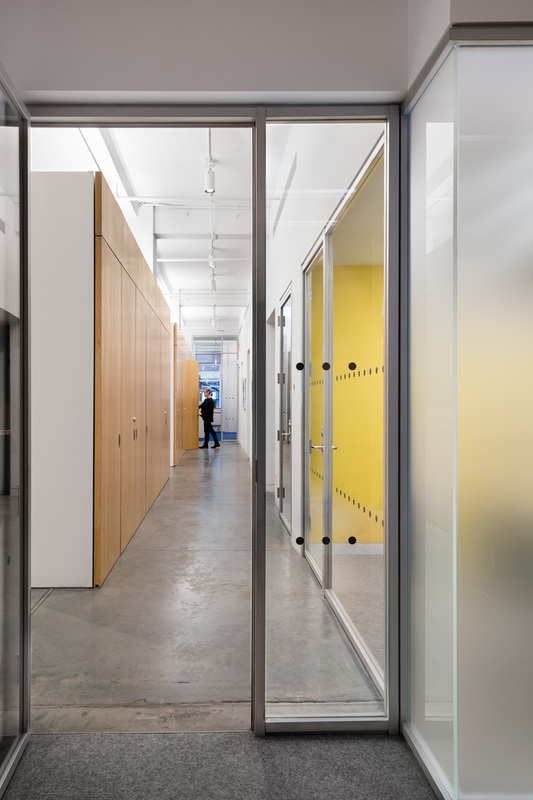 The design combines and re-balances wide-ranging programming needs, including administration, archival storage, library, educational center, studio space for artists, exhibition, lectures, and events. The wide reach of the Foundation was a source of inspiration but also a challenge, as it created competing functional and mechanical requirements. We proposed new adjacencies in the distribution of the program and concentrated the most specialized functions along the perimeter. In the center we created a series of shared and flexible staff spaces. Our intervention restructures the entire floor through the addition of two partial height walls for exhibit and storage.